AMDA | AMDA News - AMDA Celebrates Broadway's Rising Stars! 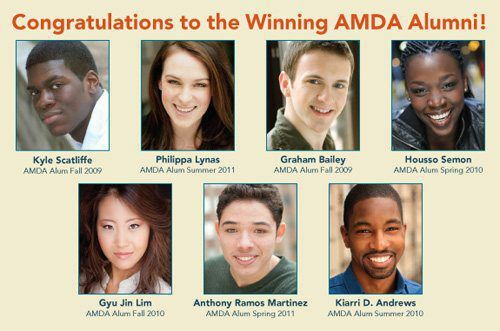 AMDA Celebrates Broadway's Rising Stars! Congratulations to our AMDA Alumni performing in Broadway's Rising Stars at Town Hall on 7/18! This year AMDA has seven alumni in the prestigious production. A panel of judges selects Broadway’s Rising Stars from among the brightest recent performing arts graduates in the world. Since the event began in 2005, more performers have been chosen from AMDA than any other college. Kudos to all of our alumni on—and on their way to—Broadway! Come see our alums perform in Broadway’s Rising Stars at the famous Town Hall in New York City.